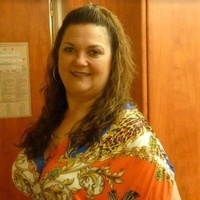 Carole Yvonne Heavner, 53, of Decatur, passed away at the University of Tennessee Medical Center Thursday, February 7, 2019. She was born in Miami, Fl. and had been a resident of Decatur for the past 50 years coming from Homestead, Fl. Carole loved going to the beach and spending time with her family, especially her grandson, Mason. She was preceded in death by her father, Henry Helms; her step-dad, Jerome Weese (Jerry); her step-father, James Earl Wilson; and her maternal grandfather, Charlie Ray Heavner. Survivors include her mother, Yvonne Wilson of Decatur; her maternal grandmother, Margaret Heavner of Decatur; her daughter, Yolanda Heavner of Decatur; her sisters, Brenda Weese Lowery (Paul) of Decatur and Janet Weese Childree of Decatur; and her precious grandson, Mason. The family will have a gathering of friends Saturday, Feb. 16, from 4-6 p.m. at Bowers Funeral Home. A celebration of life will be held on a later date in Florida.